The 2018 Chevrolet Traverse will be officially introduced at the 2017 Detroit Auto Show. 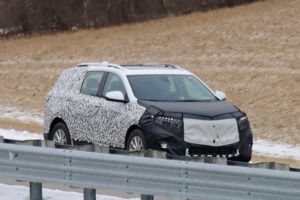 We know that because the car manufacturer just released a single teaser image of the interesting SUV. The shot shows the profile only, so we can’t see all new details. However, it’s pretty clear that the new crossover looks totally different from the first-generation Traverse that came in 2009. 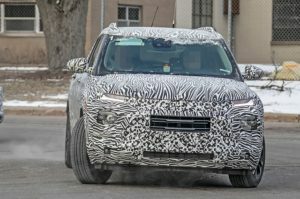 In contrast to the current model that was known as the twin brother of the GMC Acadia, the 2018 Traverse will be completely unique. This is because GMC downsized the new Acadia, which won’t be the case with Chevrolet’s amazing mid-size SUV. According to the automaker, the 2018 Chevy Traverse will offer a class-leading cargo space and the best third-row legroom, so it must be longer from the predecessor. Still, we will definitely gather 8 adults at the upcoming Detroit Auto Show to check out is it actually that good as they say it is. Anyway, the teaser image shows that the new SUV features smoother profile, yet more pronounced wheel arches. Both, the headlights and taillamps appear to be slimmer than before, while the front-end seems more aggressive. The redesigned 2018 Chevrolet Traverse and new Acadia may not be so similar as earlier, but they still share the platform and engines. Chevy’s mid-size SUV will offer exactly the same options under the hood as the 2017 GMC Acadia. You can expect a 2.5-liter 4-cylinder with 194 hp to power the base model, but also an optional 3.6-liter V6 with 310 horsepower. Of course, there will be a choice of front- or all-wheel drive. 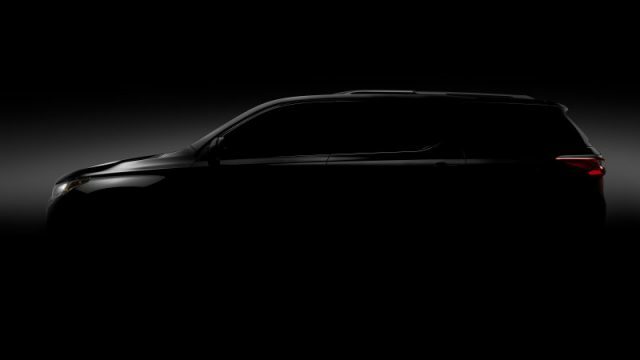 The redesigned Traverse will make its official debut in less than month, so stay tuned for updates.